Scholarship Description: The University of St Andrews is delighted to announce the availability of Silver Scholarship for International Students. This scholarship is available to pursue foundation programme. The aim of this scholarship is to support international students to pursue foundation programme. 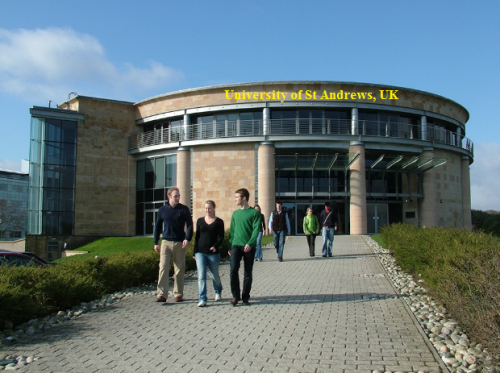 About University: The University of St Andrews is a British public research university in St Andrews, Fife, Scotland. It is the oldest of the four ancient universities of Scotland and the third oldest university in the English-speaking world (following Oxford and Cambridge). Degree Level: This scholarship is available for foundation programme. Available Subject: This scholarship is awarded in all subjects. The duration of the Foundation Programme. For Pathway to Medicine students, the award covers both phases. The value of this award is £5,000. Also, cover the tuition fees. Numbers of Scholarships: 5 scholarships are available, but the panel reserves the right to make fewer awards. Eligible Nationalities: International students are eligible for this scholarship. This scholarship is available for application through the Scholarships and Funding catalogue. If you have applied to an International Foundation Programme, you will receive an email with instructions on how to access the catalogue, where the scholarship will be listed. Now that all the information about The University of St Andrews Silver Scholarship for International Students has been delivered nicely; interested and talented students who are eager to pursue their Free Tuition/Scholarships/Study in UK can apply now.